Frostkeep Studios—a developer composed of industry veterans from Blizzard, Riot, Sony, and more—showed off its hybrid survival multiplayer title Rend at E3. The game is Frostkeep’s answer to Ark, Minecraft, and other popular survival games. Rend has been designed to accommodate players who don’t want to worry about all their progress being destroyed by enemies when they log off for the day. All of this is set in a fantasy world based on Norse mythology, where the prophesied apocalyptic destruction of old gods has already occurred. Rend is a faction-based MMO, and instead of joining one later as you gain prestige, the game begins with you choosing a team right from the get-go. Players will have three to choose from: the militaristic Order, enlightened Revenant, and mysterious Conclave. You also won’t have to worry about weighing your options to search for advantages in one group or the other, as Rend‘s factions were designed to stand on equal footing and maximize the sense of balanced competition. This idea also applies to players of discrepant levels. Usually if you play an MMO and wander into the path of a max-level character as a newcomer, they’d be able to blow your character out of existence without a thought. In Rend, everyone has a fighting chance. Max-level characters will have more tools at their disposal, having amassed abilities and perks, but a level one character could still reasonably tangle with them; it’s all about playing smart. To stop players from suffering raids while they’re away from the computer, faction bases are protected by shields the majority of the time. Those shields are lowered during scheduled events, and players can then battle it out between factions. Each server will have its own schedule, and to make sure you’re getting the most out of the game, all you need to do is play on the server with a schedule that corresponds with yours. Rend‘s world comes with a total of eight different biomes for players to explore, and we got a look at its two main starter biomes: Hearthhome and a swamp area. Hearthhome is a more easily traversible map with grassy plains and hills, while the swamp was essentially designed to be “death by a thousand cuts.” It doesn’t kill players outright, but rather shows beginners how to navigate more difficult terrain by introducing many of Rend‘s environmental challenges all together. In the swamp, you’ll learn pretty quick which water isn’t safe to drink, and while plants will spew poisonous gas. Wildlife in Rend is going to be fun too; any and every creature can be tamed (although you can’t ride them all, sorry) and each species has its own uses and strengths. You can be the animal whisperer and have your menagerie harvest resources for you, or you can harvest the animals for their respective resources. The game’s demo also gave us a look at the two types of ways to level up in the game. One is a skill path for survival abilities like woodcrafting, and the other is a talent system for leveling up your combat skills. With the talent system, you’ll be able to pick the abilities you want and skip the ones you don’t, as none of the abilities are prerequisites for another. Players should have more flexibility in the type of character they build this way. 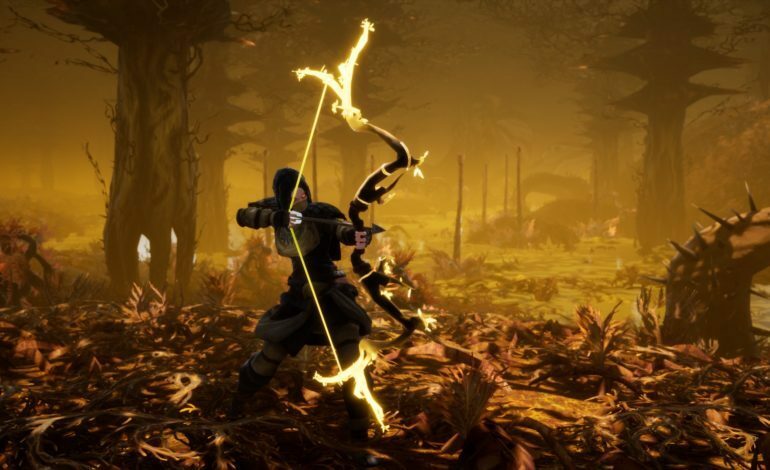 Rend just entered its Alpha stage in May, and if you want to play its in-progress early iteration, you can sign up for Rend Alpha on its website.